A door closer is a mechanical device that closes a door, after someone opens it, or after it was automatically opened. Door closers are required for Fire-Rated doors, which need to remain closed, to help prevent the spread of fire and smoke. Door closers have internal springs & hydraulic oil with cylinders and have valves that adjust the speed of the door closing and latching. For Steel, Wood or Aluminum Doors up to 260 lbs. We only provide commercial closers that meet ANSI A156.4 – Grade-1 Standards. Introducing the 316R Replacement Door Closer from Design Hardware. 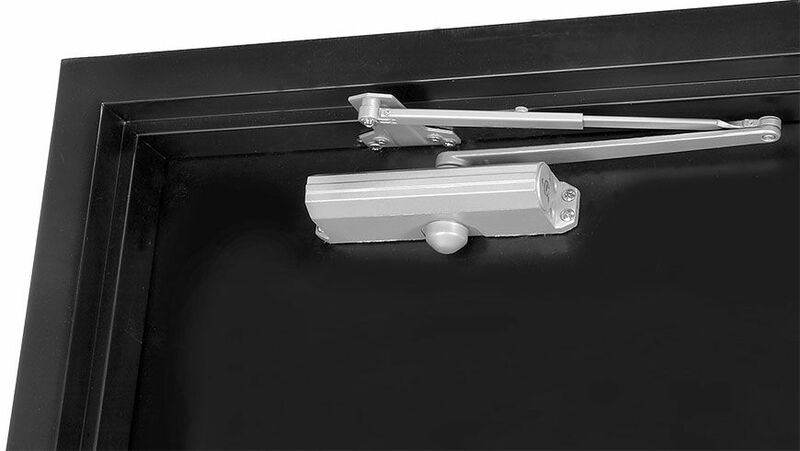 The 316R includes a Patented Mounting Plate - Can be used to retrofit a wide variety of the most popular door closers on the market without drilling new holes in the door. *The above company names & model numbers may or may not be copyright or registered trademarks of their respective companies and are not affiliated with Design Hardware in any way. 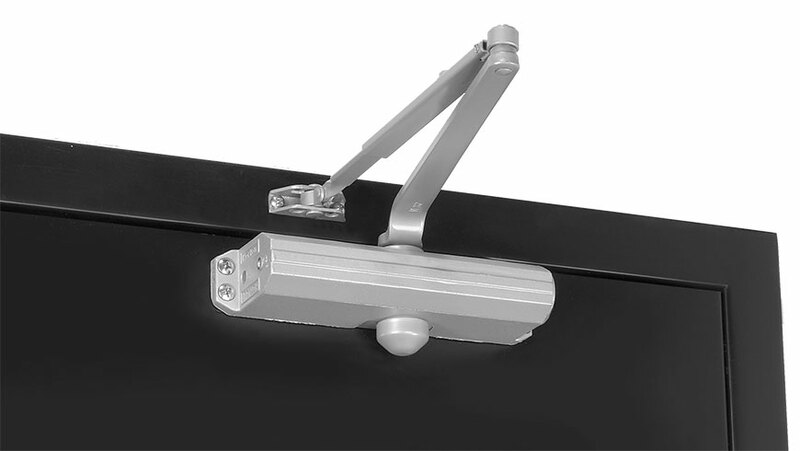 Surface closers can be mounted top jamb, regular arm or parallel arm.